Head coach Chris England talking to the women’s cross country team. 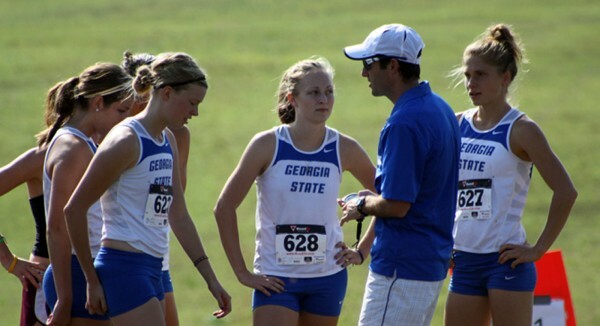 The Georgia State women’s cross country team has quietly became the best sports team at Georgia State. “It’s definitely [a] dark horse in the sporting scene, not just at Georgia State but almost every university,” Head Coach Chris England said. Coach England said women’s cross country being a non-revenue sport and a women’s sport can attribute to it not being as popular. “Our team in particular [has] a very strong following of parents who drive long miles and hours to see the team and support everybody in their Georgia State blue and white,” the head coach said. Georgia State, in sports, is known as a “basketball school” despite not winning the conference championships in recent memory. However, the team made noise as soon as they entered the conference, capturing the Sun Belt Conference Championship in their first year. 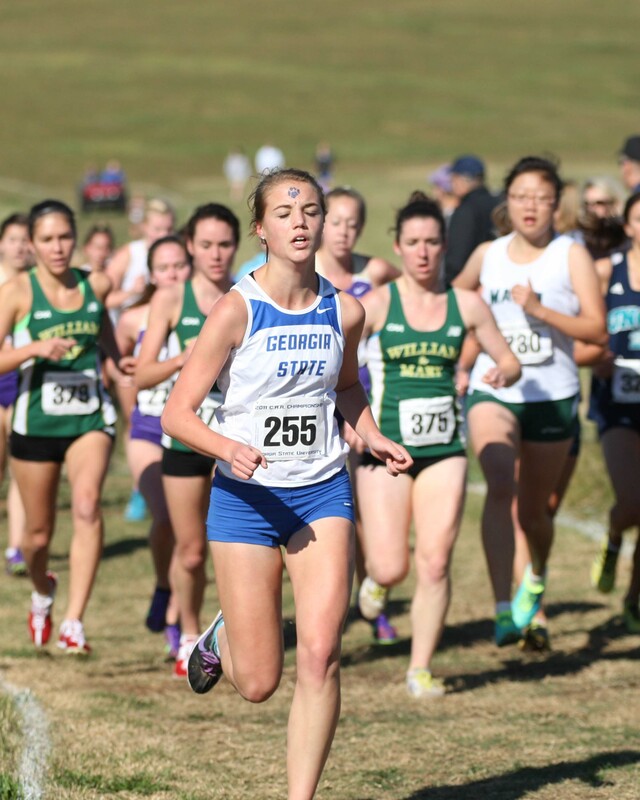 Last season, the women’s cross country team was predicted to finish seventh out of 12 teams in the conference’s preseason coaches’ poll. Junior Hannah Stefanoff said despite being underdogs heading into the 2012-13 season, the team went into the season wanting to win it all. She added that expectations won’t change this year going into the season as champions because winning is still the expectation. By being champion, the team now goes into the season not under the radar but with a bigger target on their back. Stefanoff emerged as the team’s top runner this season. She finished first in the 4k race at the JSU/Struts Invitational in early September. Her transition from being a member of the team to being a prominent member of team was due to her work over the summer to get better. Coach England said the team has gotten better each year he’s coached the team. He added the improvement within the team has been good but with the pinnacle of winning – it has set the bar really high and the team wants it to stay at that high level. “The main goal is to just be able to win the Sun Belt again,” Stefanoff said. “My personal would be to win the individual [5k race] championship [at the Sun Belt Championship meet].